Park Shopping Centre on Prussia Street has been a part of the fabric of Dublin 7 since it was built in 1984. It has served the areas of Stoneybatter, Prussia Street and Grangegorman for almost 3 decades. Just 3 kilometres from the River Liffey it has always prided itself on its community feel, familiar faces, great value and variety. Tesco are the anchor store and there are currently 16 additional retail units trading across numerous different categories of products and services. Combine this with 150 FREE car parking spaces with valet and you can understand PSC’s importance to the shoppers of Dublin 7. 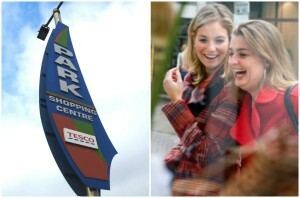 Park Shopping Centre has come through the good times and the tougher times and now is set to play a huge role at the heart of the regeneration of the whole area due to Dublin Institute of Technology centralising their campus adjacent to it beginning in 2014.